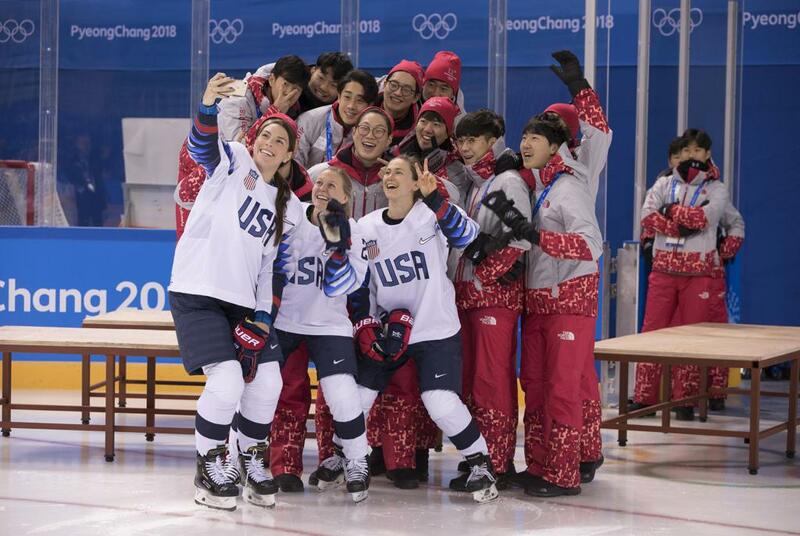 GANGNEUNG, South Korea — Jocelyne Lamoureux-Davidson (Grand Forks, N.D.) set an Olympic record for the fastest two goals scored by a single player to lead the U.S. Olympic Women’s Ice Hockey Team to a 5-0 victory over the Olympic Athletes from Russia here tonight in preliminary round play at the 2018 Olympic Winter Games. With the win, the U.S. secured a bye to the semifinal round on Monday (Feb. 19) as one of the top-two seeds in Group A. 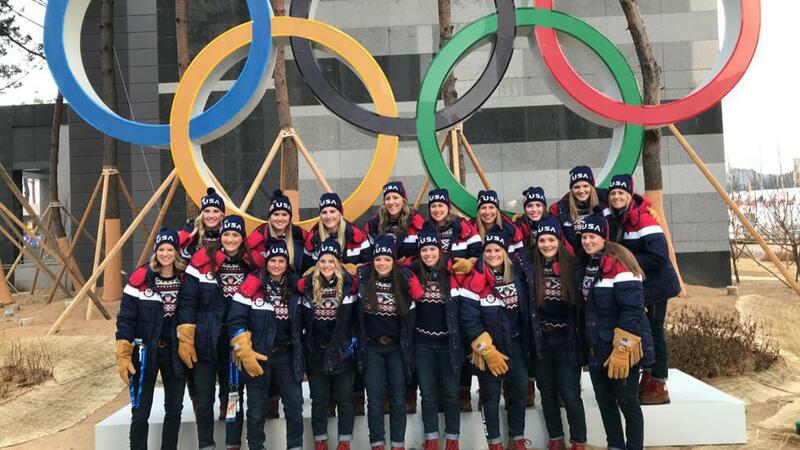 The U.S. Olympic Women's Ice Hockey Team (2-0-0-0/W-OTW-OTL-L) will close preliminary round action Thursday (Feb. 15) when it takes on Canada. Puck drop is set for 12:10 p.m. local/10:10 p.m. (Feb. 14) ET at the Kwandong Hockey Centre and the game will be broadcast live on NBC Sports Network and streamed on NBCOlympics.com. The U.S. got off to a strong start by dominating possession in the Russian zone and creating multiple scoring chances. Perhaps the best opportunity came just 3:53 into the game when Hilary Knight (Sun Valley, Idaho) tried to bang home a loose puck in front of the net off a Megan Keller (Farmington, Mich.) shot from the point, but her chance was stopped short by O.A.R goaltender Valeria Tarakanova. After continued pressure, Team USA was able to break through at the 8:02 mark when Kacey Bellamy (Westfield, Mass.) connected on a long-range shot. The play started when Lamoureux-Davidson skated the puck down the left side and passed back Bellamy whose shot from the top of the right circle cut through traffic and past Tarakanova for the game’s opening goal. The U.S. continued to control play throughout the period as it outshot the Russians, 7-2, but could not convert again as it entered the first intermission up with a one-goal lead. The second frame saw Team USA continue its control of the game as it tallied three times in the period. Lamoreux-Davidson started the scoring when she converted on a loose puck during a net-front scramble at the 11:46 mark with her sister, Monique Lamoureux-Morando (Grand Forks, N.D.) credited with an assist on the play. A mere six seconds later, Lamoureux-Davidson tallied again on an unassisted effort after deking two defenders and faking a shot before flipping a backhanded effort over the pad of Tarakanova. The two goals marked a new record for the fastest two goals scored in Olympic history. Gigi Marvin (Warroad, Minn.) furthered the lead with 5:22 to play in the second when Amanda Pelkey (Montpelier, Vt.) fired a shot from the right circle that forced a rebound Marvin was able to bang home for the 4-0 lead. Late in the final stanza, Hannah Brandt (Vadnais Heights, Minn.) scored with 1:37 off a setup from Dani Cameranesi (Plymouth, Minn.) to account for the 5-0 final. 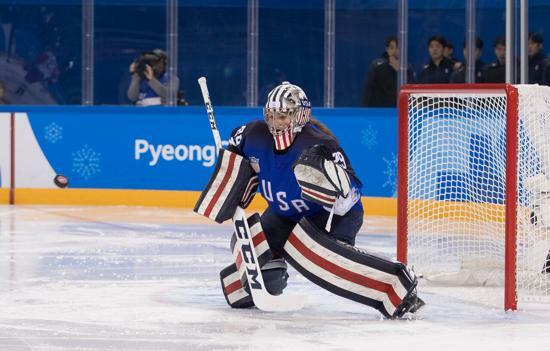 U.S. netminder Nicole Hensley (Lakewood, Colo.) stopped all 13 shots in the win. NOTES: The U.S. outshot Olympic Athletes From Russia, 50-13. 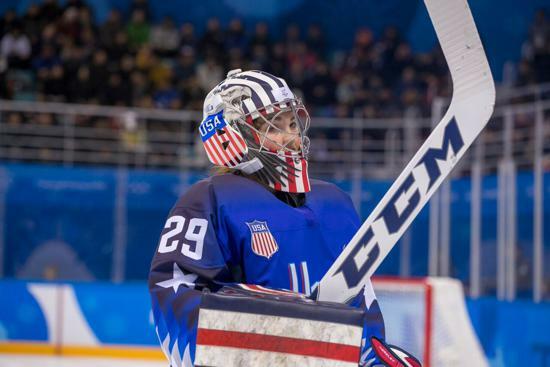 For complete game stats, click here...The U.S. Olympic Women's Ice Hockey Team has medaled in all five Olympic appearances to date (gold-1998, silver-2002, 2010 and 2014 and bronze-2006) ... 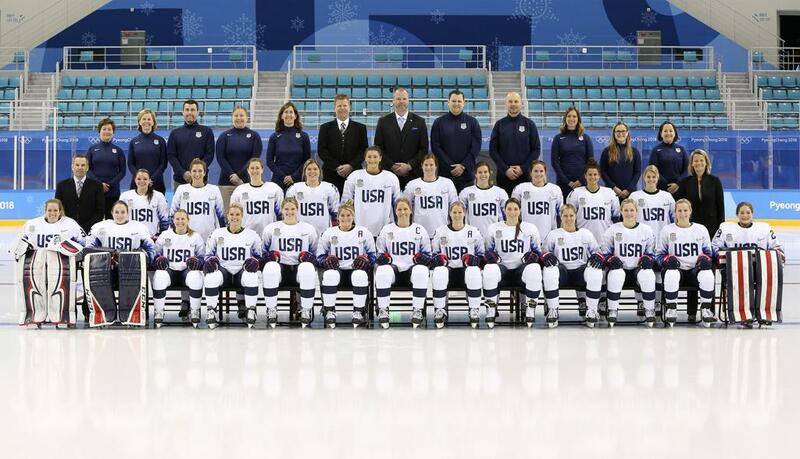 The 2018 U.S. Olympic Women's Ice Hockey Team is under the direction of General Manager Reagan Carey (Colorado Springs, Colo.).